For my oldest daughter’s fourteenth birthday she wanted to go somewhere fun. 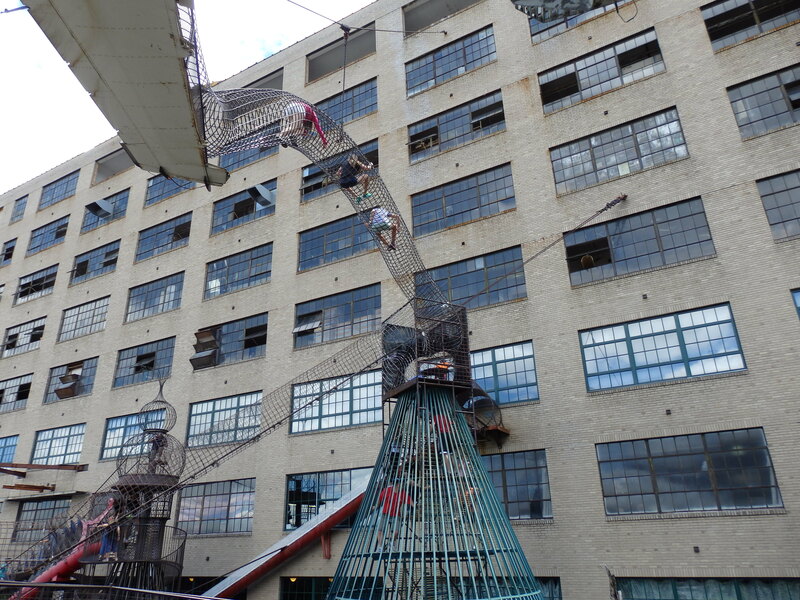 We decided on the City Museum in St. Louis, Missouri. This museum is no ordinary museum. It is basically artwork you get to climb on and play in. The museum is housed in an old city warehouse building. There have been hours and hours of many artistically talented people who have welded metal piece after metal piece to make tubes and staircases to climb in, on, and amongst. There are old airplanes, trolleys, a fire truck and a school bus to name a few of the highlights. 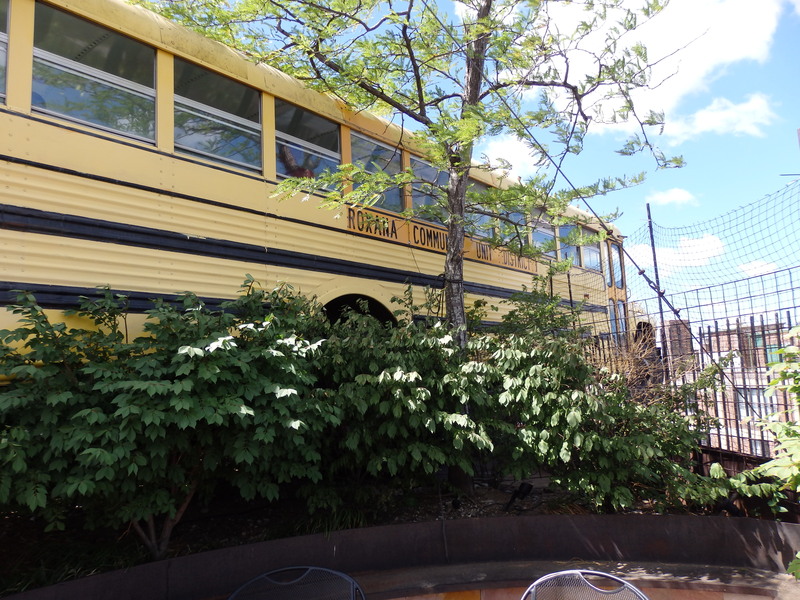 The school bus actually teeters off of the rooftop 11 stories high. There are many fun slides including a ten story high slide. Everywhere you look there are old things like broken glass to make beautiful mosaic art, broken shells, old soda canisters, jars, old records, old architectural pieces from city buildings, all kinds of repurposed trash compiles this fun and whimsical place into beautiful sculptures and pieces of art. 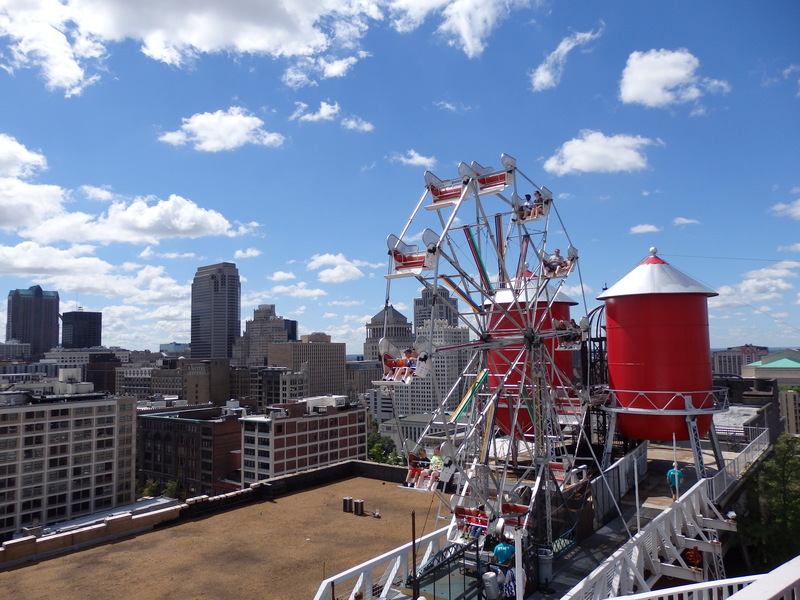 There is even a working Ferris wheel up on the rooftop. Usually I am drawn to more nature types of attractions, but this is one industrial sight I love to visit. This place took so much creativity and design. The intricate tunnels are such that you see your child walk into the mouth of a giant whale and then their head will pop out from under a sculptured tree across the room like a mole. Each piece in this grand design is important. If any piece especially a rot iron bar decided that did not want to serve its purpose it would be detrimental. As I enjoyed the whimsy of the museum I couldn’t help but be reminded of our grand designer and creator God. He has a specific purpose and plan for each of us. How detrimental is it to our lives when we decide to not follow His purpose and plan? When we are not fulfilling the purpose God has for our life God will give that blessing to someone who will. We miss out on abundant and eternal life. When we trust in Jesus and allow Him to work through our lives He blesses in ways that are unimaginable. Jesus spoke this parable using a monetary example because that is something we can identify with. God’s plans are much greater than any monetary or material gain. “Well done my good and faithful servant.” or “darkness”, “weeping and gnashing of teeth.” We have a choice.